On paper, it may look easy. Three titles in three weight classes in 12 fights, all at the age of 23. But that’s not the way it’s gone for Kosei Tanaka, who had visited the deck twice and gone through hell with Rangsan Chayanram en route to his perfect record. And that was all before he earned that third title and 12th win on September 24. He should have expected 12 rounds of hell when he was matched against WBO flyweight champion Sho Kimura. And if he didn’t, he got it anyway, with the result being BoxingScene’s 2018 Fight of the Year. Like the 2006 Fight of the Year between Somsak Sithchatchawal and Mayhar Monshipour, this was one for the diehards, the folks who have no problem getting up at four in the morning to watch a prizefight. Often, that dedication goes unrewarded. In this case, it was worth any lost sleep as two fighters in different segments of their careers combined for a special bout that was a reminder of all that is good in the sport. With the surprisingly raucous crowd at Takeda Teva Ocean Arena in Nagoya firmly in the corner of their unbeaten local hero, Tanaka tried to set the tone early with rapid-fire jabs and quick combinations. Kimura, despite having just 21 pro bouts at the age of 30, is the definition of grizzled vet, and he tried to make it a fight, digging in with body punches as the two stood in the pocket. The pocket was where the fight stayed for most of the 12 rounds. No battles in the corner or along the ropes, virtually no need for referee Mark Nelson to get involved. Tanaka and Kimura were determined to take care of their own business, clinches replaced by forehead to forehead breaks where they briefly recharged for the next exchange. And though Tanaka held the edge early on, even staggering Kimura late in the second round, Kimura refused to give ground, and he just kept throwing punches. The grind suited Kimura, while Tanaka tried different approaches to keep his foe at bay. In the fourth, the hometown favorite sat down on his punches, and swelling began to show on the champion’s face, but he was undeterred. A look at Tanaka between rounds saw a young man who knew he was in a fight, and with several frames to go, it had to be a daunting prospect to know his night was far from over. Yet by round six, Tanaka made the adjustments he needed to, and with lateral movement and slick defense, he found the formula he needed to surge ahead, and entering the championship rounds, he was comfortably ahead. But championship rounds are presumably when champions show their mettle, and Kimura fought like someone who had no intention of giving his title away. 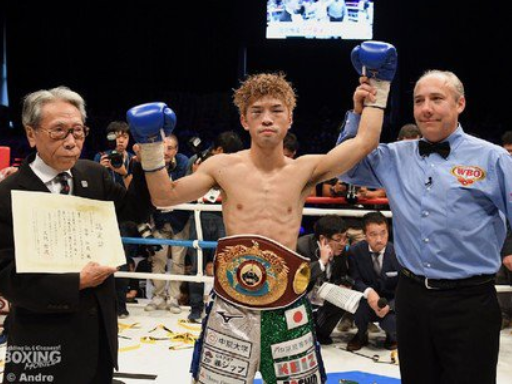 In the 12th, the two teed off on each other with right hands, followed by an emptying of the tank by Kimura, who would ultimately lose his belt by scores of 116-112, 115-113 and 114-114. It wasn’t Gatti-Ward or Corrales-Castillo in terms of action. The drama was subtle, not obvious. But those who appreciate John Coltrane over Cardi B understood that Tanaka-Kimura was boxing at its best. The drama in this unification bout was evident, as it took a 12th round knockdown by Hurd to earn him the split decision win in a fight that confirmed Hurd as the kind of fighter that can make a fight with any opponent exciting. The beauty of the World Boxing Super Series was fights like this one, pitting two unbeatens against each other in a tournament format. Gassiev ultimately put himself in the final against Aleksandr Usyk, but not before getting pushed to the limit by Dorticos until three knockdowns in the last round gave Gassiev the win. Rematches rarely surpass the original, but Alvarez’ redemptive win over Golovkin after the controversy of the previous year was a fight worth celebrating as the two best middleweights in the world sat in the pocket and played a brand of violent chess that thrilled fans around the globe, even those that didn’t agree with the decision. The first gut check of Wilder’s career wasn’t Tyson Fury, but Ortiz, who gave the still raw WBC champion all he could handle in March before “The Bronze Bomber” went back to his old reliable power to end the fight with a pair of knockdowns in the tenth round. High-level from start to finish, Lomachenko passed his stiffest test with style, rising from the canvas in the sixth round to halt Linares in the tenth stanza. Saucedo appeared to be cruising to a victory in front of his hometown fans in Oklahoma City in June, dropping game, but seemingly outgunned Lenny Z in the third round. Then Zappavigna hurt and nearly stopped Saucedo in the fourth, and all of a sudden, an instant classic was born, one ultimately won by Saucedo via seventh-round TKO.